I’m in Ohio, working, creating media & music, and adapting to being an empty-nester with my wife. Serving as Assistant Chief at the Ohio Division of State Fire Marshal, Fire Prevention Bureau. I develop lesson plans to add to the current fire and life safety education curriculum. I also supervise a team of field educators. I am participating as a member of the IFSTA validation committee for the upcoming fourth edition of their publication Fire and Life Safety Educator. I serve as audio engineer and editor of the CRR Radio podcast. This is part of the IFE USA Branch Vision 20/20 project. I also assist with social media posting and maintenance/updates to the project web site. I was recently elected to the President-Elect position for the Ohio Certified Public Manager® Society. I had been serving as Public Relations Chair for the past several years. My latest projects have included completely renovating the web site, promoting member activities and finishing final releases on the recent awards presented at the annual Leadership Conference. I am the bassist with the band Counting Skeletons. 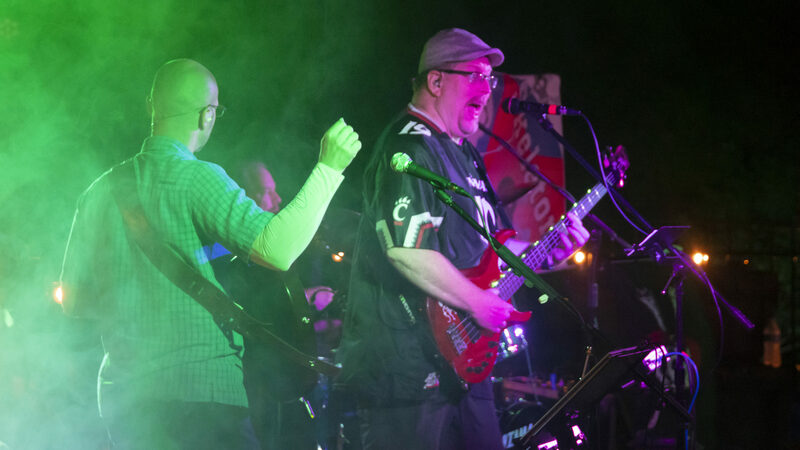 We play about twice a month at various clubs around southwest Ohio, including Dayton and Cincinnati. This is primarily 80s covers, with the occasional newer tune, esp. if it helps motivate people to dance or sing along. We also produce a monthly web series called Tales from the Closet. Counting Skeletons has released an album of original songs called Super Moon. It features a great lineup of musicians who helped us with the project, including drummer Greg Goforth and singer Nyci Lorts. Drum tracks were engineered by Matt Hueneman of Cattle Dog Productions. I’m listening to many audio books and the very occasional podcast. Though I was an avid podcast listener for roughly ten or more years, I’m finding them to be too boring for my driving time. I tend to have a lot on my mind during my long commutes (90+ minutes) and these either distract or cause me to get drowsy.